Growing up amongst a family of gardeners and home winemakers, Chris learned at an early age to appreciate the natural world and it’s richness. 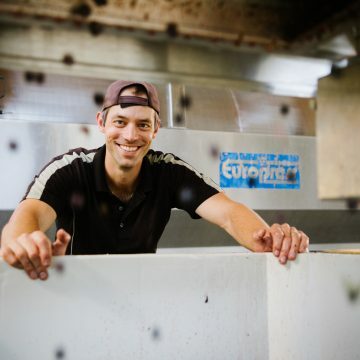 After graduating from the University of Virginia, his path lead to Jefferson Vineyards where he found his true calling and joined the winemaking team in 2007. Upon being appointed Winemaker in 2013, Chris has continued the tradition of crafting award winning wines and has won prestigious medals in the country’s top competitions.